Anna is really finding her feet! 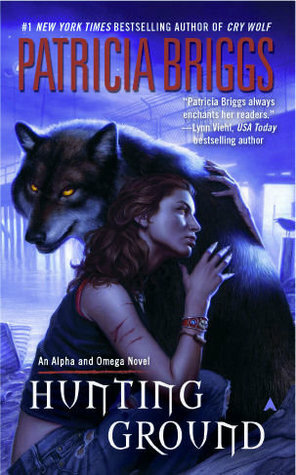 In this book Charles and Anna represent the Marrok at a werewolf convention. With all the alphas running about the place I was slightly worried for Anna but I shouldn’t have been. She more than managed to hold her own against the century old strong and dominant wolves. I love the characters in this series. Charles is used to being his father’s assassin and because of this he has always been wary of being overly friendly with anyone outside of Bran and his brother, Samuel. Briggs doesn’t forget the history she’s created for Charles (or Anna either for that matter). Charles has many things he has to overcome and in his new relationship with Anna, he has many struggles. I love that. I love that just because he has found his mate and fallen in love with his wife it doesn’t stop his former nature from showing at inappropriate times. Anna, too, has to overcome her past in order to be with Charles. The problems they’ve both faced (separately and as a couple) are just one of the things that I find unique and refreshing with this series. The author doesn’t gloss over the hideous nature of the beast nor does she simply apply the notion of love overcoming everything. Despite the werewolf and supernatural nature of this series the character I’ve read in this book are more real to me than in so many other novels. It was nice to see some more interaction between the Mercy Thompson series and the Alpha and Omega series – this time being in the inclusion of Fey and Vampires. The blending of the two series whilst still keeping things interesting and new is very well done. The things that we know about the Fey and the vampires already from Mercy are consistent with what Anna discovers in Hunting Ground. The new characters introduced in this novel delighted me. The slightly odd Arthur who believed he was the reincarnation of King Arthur, the blind witch, the Beast of Gévaudan as well as another Omega wolf and a whole range of other wolves were all brilliant. There were so many personalities and little stories playing in the background that there was always something to keep me interested.